Why is it critical to have an employee off boarding program? Onboarding is a common practice used by companies to integrate a new employee into his or her position. This helps a new hire feel welcomed into the organization’s “family,” while also making sure that the company does not face unnecessary costs due to quick employee turnover. By implementing a strong onboarding process, employees can become better acquainted with the organization’s culture, managers and overall goals. In return, the company can make sure that employees are continually engaged in their roles, which will ultimately result in higher productivity. Onboarding should not be just a one-day or one-week event, but instead should extend anywhere from the employee’s first three months to one year with the company. Some ways to make the new employee’s transition easier is to assign mentors, involve weekly and/or monthly assessments, provide ongoing training opportunities and provide measurable results for the new employee to track his or her progress. Onboarding is an exciting time for both the new employee and the company. With a little extra effort, it is easy to help a new hire feel accepted into the organization’s culture. So what if the company needs to eliminate tenured employees? Watch your step while moving off board! Just as important, but sometimes overlooked, is off boarding. 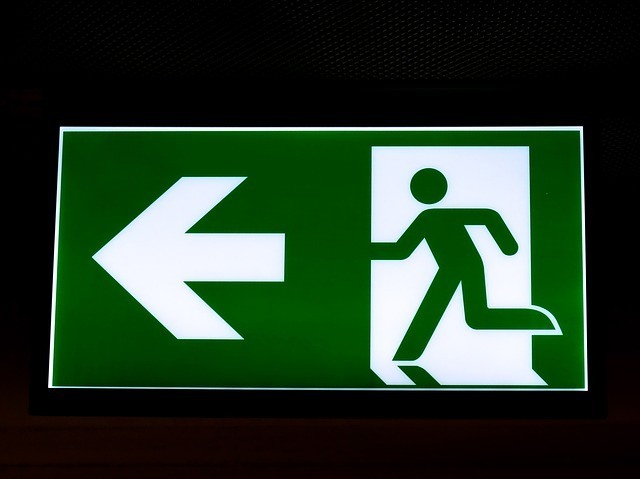 Off boarding is the process a company has in place for the termination of an employee. The challenges brought on by off boarding can be unpleasant to face, but it is something that organizations cannot ignore. An employer’s off boarding process might include exit interviews, removal of company property from the employee’s possession and cutting off any access to company information. In recent years, organizations have been faced with budget cuts and reorganizations resulting in mass layoffs. This makes having a strong off boarding process in place even more important. Should management want to bring the terminated employee back in the future, a positive off boarding experience can help make open communication a possibility. During times of economic strife, such as we’re experiencing today, organizations are being forced to focus less on recruiting and onboarding and more on working with the employees they have. However, having a proper onboarding process and a system for automating and managing that process is still a major concern for many companies. When times are tough, industries change as companies fight to survive through mergers and acquisitions. What happens when a company acquires or merges with another and Human Resources is faced with the daunting task of onboarding hundreds, or even thousands of employees in a single day? Having a proper onboarding process and technology solution in place to automate tasks management and workflows, facilitate electronic forms completion, and socialize employees into their new environment is a must. The Human Resources Corporate Leadership Council found that increasing an employee’s level of engagement could potentially improve performance by 20 percent. Automating forms and tasks management are key to managing an effective onboarding process. Several organizations that achieved Best-in-Class results automating their processes uncovered costs savings and productivity gains that significantly impacted their organization’s bottom line. Being able to cut costs and improve employee moral are crucial during tough economic times. Are there some steps that you follow for your off boarding program? You can share with us in the comments.